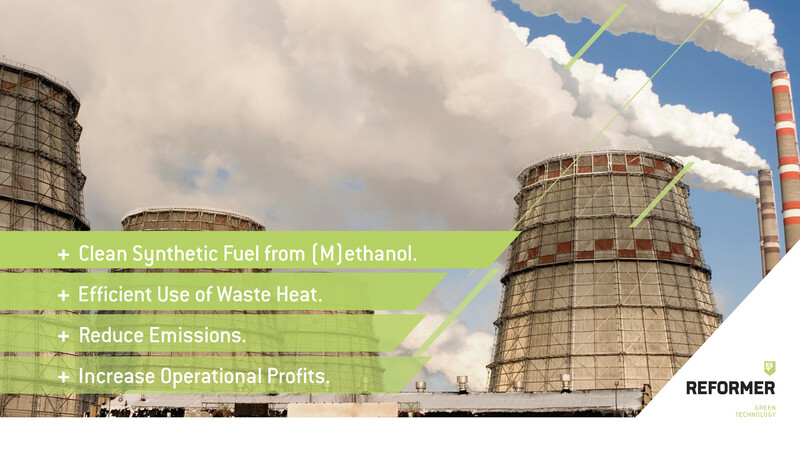 FS REFORMER+ provides a patent pending universal solution to locally reform low cost crude methanol & water into a certified, clean hydrogen fuel for clean combustion and increased efficiency of industrial plants with the use of “free” waste heat. 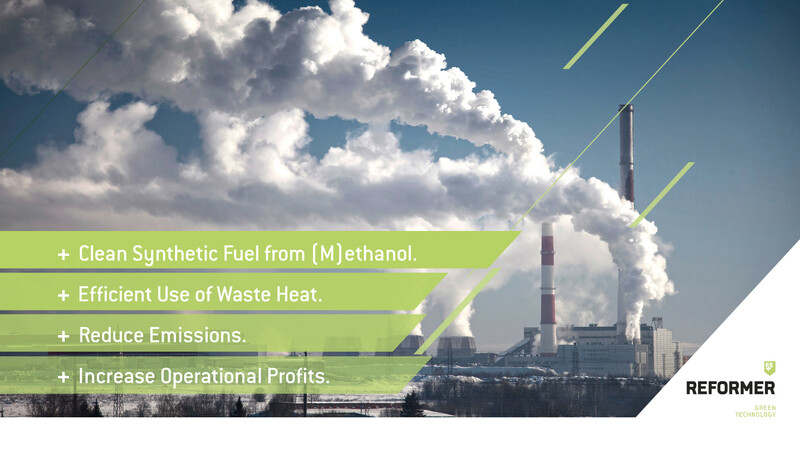 The synthetic fuel produced in this way can be used in separate combustion engines to produce electricity and is flexible at all times and “free” available to increase the efficiency and profitability of the operation. The central unit of the system is in principle a catalyst, in which the countless micro-channels form an enormous surface on minimal space for the thermic reformation. As a “resource” for operation, the FS REFORMER+ only uses the the waste heat of existing combustion engines or industrial processes that are freely available. 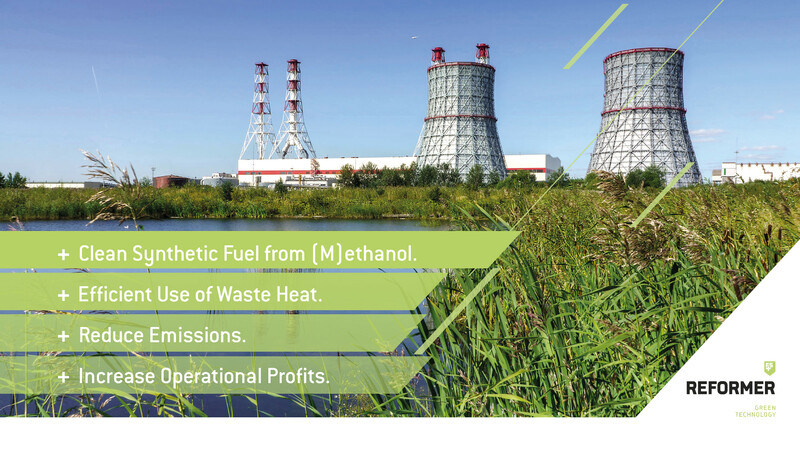 Do you own a biogas plant (BGP) or cogenerator (CHP) or produce & sell electricity? Do you wonder how you can optimize operational profits? Please feel free to contact us to find out more about our products and solutions and how they can be used to save you money. We are looking forward to hear from you.